Welcome to Hillwood Primary School’s website! At Hillwood we work hard with our parents, pupils and staff to create a warm and welcoming environment where pupils can learn and grow. Hillwood is a fantastic place to learn and work. As a former P7 pupil said we are “A small school with a big heart!” Our school community is proud of this statement and live up to it daily. To find out more about Hillwood Primary and what is happening this term, please explore our website, follow us on Twitter @HillwoodPS or use the ‘Contact Us’ section of the website to get in touch. Please scroll down to read Hillwood’s latest news! World Book Day – more ideas! 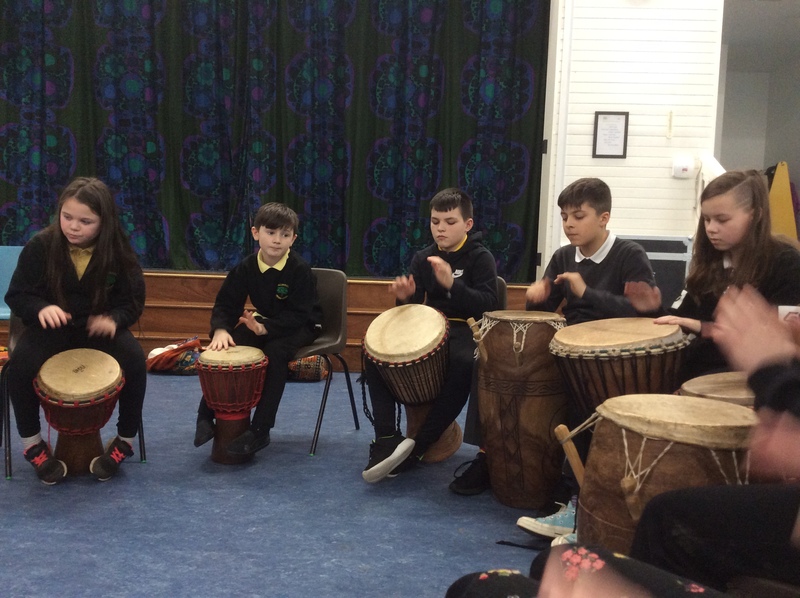 This entry was posted in Uncategorized on Feb 26, 2019 by hillwoodprimaryschool. We are all looking forward to our ‘Big Booky Breakfast’ and other book related activities on World Book Day. We are encouraging children to think of unusual places to read their favourite books. Look at where our staff were reading on Friday afternoon! Mrs Higgins and Mrs Lessels spent a really productive morning yesterday at fire skills training. They were making popcorn, muffins in orange skins and bread on sticks. They are now going to bring those skills back to nursery! Thank you to the Smart Play network for another great session. 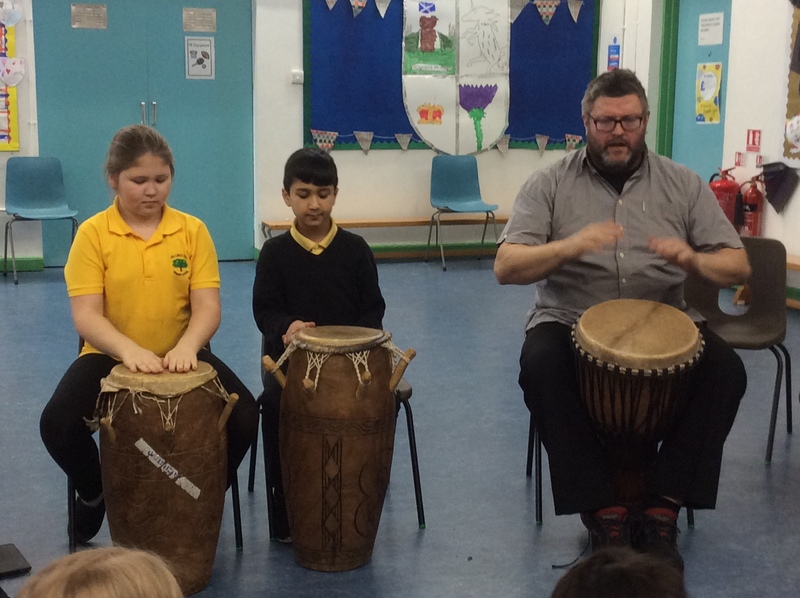 What an amazing afternoon P4-7 had with Phil from ABC Creative music learning African drumming. We are looking forward to the next session on 4th March. 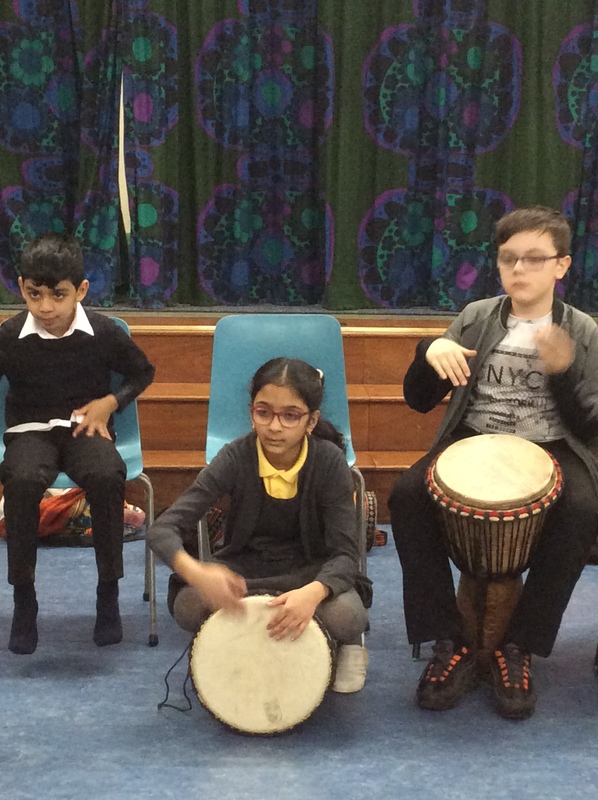 This entry was posted in Uncategorized on Feb 4, 2019 by hillwoodprimaryschool. This entry was posted in Uncategorized on Jan 10, 2019 by hillwoodprimaryschool. P6/7 spent a fun-filled afternoon at Craigmount High School for an Hour of Code where they wrote their own dance algorithms for Marty the Robot using Scratch software. They also enjoyed learning how to write code using ‘Code Monkey’. The children proved that Hillwood has plenty of budding computing talent so watch this space! This entry was posted in Uncategorized on Dec 4, 2018 by hillwoodprimaryschool. Thank you to everyone who helped make Hillwood’s Christmas Fair a huge success. It was fantastic to welcome members of the community through our doors to enjoy home bakes, face painting, tombola, children’s crafts and much more. The event has already raised an incredible amount of money which will fund a trip to the panto for the whole school!